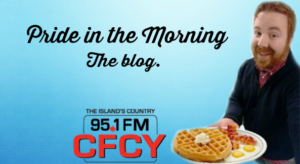 Trudeau calls Chris Pride to talk PEI, Fredericton & who’s the real boss at his house? This morning Prime Minister Justin Trudeau called into the show. Days after the shooting in Fredericton which took the lives of 4 people, including 2 police officers the PM made a scheduled visit to the New Brunswick town. Initially intended to be a fun visit, Trudeau decided to skip out on the Pride Parade, instead meeting with families of the victims. He also attended a Pride event after the parade and said he saw resilience in the community. “The outpouring of support for these families, the outpouring of respect for these officers & first responders was really touching to see.” The PM noted. 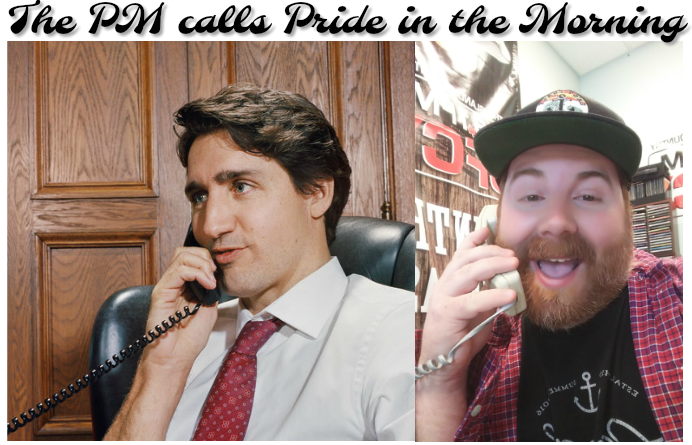 While I had the PM on the phone, I figured it wouldn’t be a Pride in the Morning interview if we didn’t have a little fun. Trudeau admitted that like most men, his wife, is in fact calling the shots. Trudeau also admitted that he does from time to time see the humor in the odd editorial cartoon or “quip” on social media about himself but also advised Canadians to use a more civilized discourse on social media. “Something that you might not say at the dinner table to your brother in-law, maybe you shouldn’t be saying it to strangers on social media.” The PM also took the opportunity to defend his Foreign Minister Chrystia Freeland, speaking out about Saudi Arabia’s human rights record on twitter. The Prime Minister also said he was excited about the economic growth in PEI and the rest of Atlantic Canada. Trudeau has only a couple of scheduled visits today on the Island. He had coffee with some seniors earlier in the morning and a Strawberry Social in the afternoon. But he did say his 4 year old Adrian is excited to take in the rides at Old Home Week.